We all know the stories about reindeer; Father Christmas’s magical steeds fly his famous sleigh to the homes of children around the world on Christmas Eve, eat the carrots we leave for them, and are recipients of occasional genetic mutations causing shiny red noses. But where do they come from? How do those not pulling Santa’s sleigh spend their time? And are their noses really that special? The reindeer, also known as caribou in North America, is a species of deer of the tundra and subarctic regions of Eurasia and North America. From tales of glowing red noses to debates about the physics behind their annual circumnavigation around the world, talk of reindeer is at an all-time-high this time of year. But there’s a lot more to this charismatic winter mammal than their sleigh-pulling abilities. Below are twelve facts which you may not have known about reindeer. Reindeer are thought to have originated around two million years ago in Beringia and moved from there further into both North America and western Eurasia. Reindeer are extremely cold tolerant. Norwegian reindeer (Rangifer tarandus tarandus) can reduce their critical temperatures from 0 to -30⁰C from summer to winter, and Svalbard reindeer (R.t. platyrhynchus) can do so from -15 to -50⁰C. Reindeer is the only species of deer in which both males and females grow antlers. Domesticated reindeer populations have outgrown those in the wild. While we don’t know exactly when Rangifer were domesticated, evidence exists that herds were owned by the chieftain Ottar from Halogoland in 9th-century Norway. Longer legs on reindeer make it easier for them to move around on hard surfaces and snow, but these long legs costs Rangifer more energy for maintenance and growth. Average leg length becomes shorter the further north the species live. Nuclear fallout from the explosion at Chernobyl power station in 1986 seriously impacted Scandinavian reindeer herds, as the reindeer ate vegetation which had absorbed radioactive isotopes. 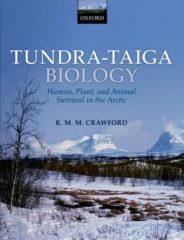 The meat from these animals was rendered dangerous, large numbers were slaughtered, and the Saami cultural system changed as a result of this break in traditional practices. Strolling reindeer (Rangifer tarandus) in the Kebnekaise valley, Lappland, Sweden by Alexandre Buisse (Nattfodd). CC BY-SA 3.0 via Wikimedia Commons. Males have different reproduction tactics, including warding off male competitors or sneaking copulation with females in heat. Studies have shown that the most effective manner of reproduction allows for a combination of both tactics. North American caribou migrate up to 5,000 km annually across a territory ranging in area of 1,000,000 km2. This is more than any other terrestrial mammal worldwide. 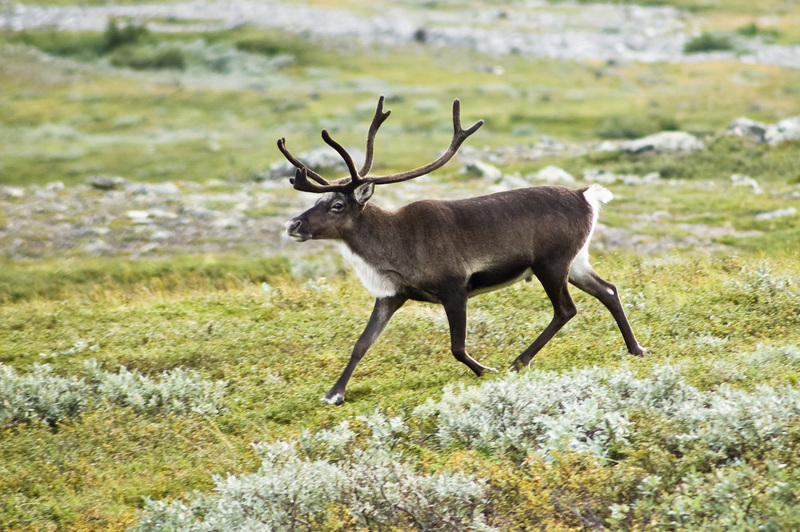 Climate change threatens to reduce the area of the tundra and decrease the space reindeer and caribou have for foraging mosses and lichens, particularly during calving season. Summer is a tough time for reindeer. If temperatures rise above 10⁰C, this artic mammal becomes noticeably uncomfortable and if 15⁰C is reached the animals suffer physiological disorders. The short summer season allows reindeer to gain bodyweight that will allow them to overwinter; any disruptions to this will jeopardize their ability to do this. Though Rudolf’s red nose has become the popular image of reindeer around the world, the image is misleading. That’s not to say reindeer noses aren’t amazing. These appendages cool the warm air coming out of the body by 21⁰C before it leaves the body. Featured image credit: ‘Reindeer herd, in winter, Lapland, Northern Finland – space for text’ by Terence Mendoza via Shutterstock.